The SAAB 99 is a compact executive automobile built by the Swedish manufacturer between 1968 and 1984. Designed by Sixten Sason, the 99 could be had in either two or four-door sedan guise or three or five-door coupe guise. Power was derived from a range of inline four-cylinder engines with varying levels of displacement, depending on the particular model. The drive from these motors was sent to the 99’s front wheels via either a four or five-speed manual or a three-speed automatic transmission. The 99 was made available to customers in a very large range of different models including the E, EMS, SSE, X7, L, LE, GL, GLE, GLs, Turbo, Finlandia and Petro. This particular SAAB 99 is a L model and comes equipped with a 1.85lt inline four pot and a manual transmission. According to the seller, the vehicle has travelled an original 71,000 miles from new and is a great, unmolested example of a Swedish classic. 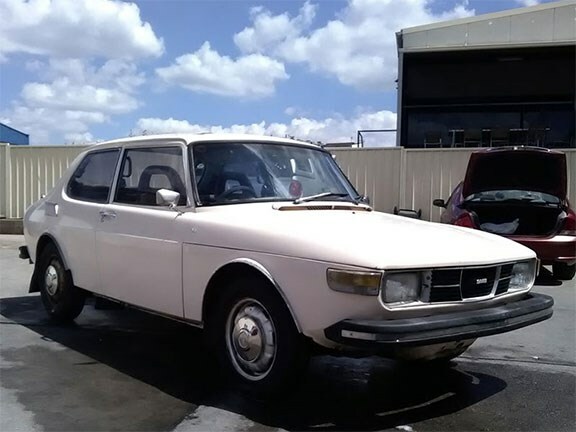 The SAAB 99 L is $5000 and anyone interested in this budget classic can view the full listing here.